Many software's and program's starts automatically or loads when we start the Windows. It's important for some needy persons. But sometime it becomes a problem. 2. Programs running in background occupies memory of system. 3. It results decrease in speed of a system. 4. The software's running in background can also access unwanted internet data, while your connection is on. So here is a solution to it, you can control all programs and software's running in background of windows or can disable auto-run of that programs. TweakNow RegCleaner provides ultimate tools to control your system registry. You can analyze your disk usage, can run disk cleaner, uninstall a programs. 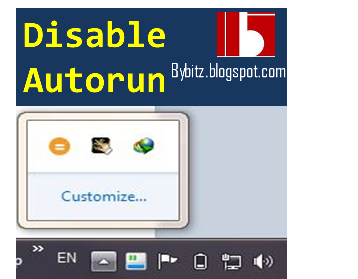 Apart from it you can control all your auto-run programs when operating system starts as well as disable any auto-run program from the list. First of all install TweakNow RegCleaner on your operating system. Click on Start Up Manager Tab located in left side. Now deselect programs that you don't want to run on system start-up and click save. Now enjoy fast and uninterrupted system on yours!! I tend not to create many responses, but I browsed a few of the comments on this page "How To Stop The Program [Autorun] That Starts Automatically When Windows Starts".